On August 18, 2016 the Philadelphia School Reform Commission’s met for its monthly Action Meeting. All seven videos can be viewed here. Video of APPS member Carol Heinsdorf testifying at the Philadelphia School Reform Commission hearing – August 18, 2016. The transcript of Carol’s testimony. Video of APPS member Lisa Haver testifying at the Philadelphia School Reform Commission hearing – August 18, 2016. The transcript of Lisa’s testimony and the transcript of her interaction with Commissioner Green after her testimony. Video of APPS member Barbara Dowdall testifying at the Philadelphia School Reform Commission hearing – August 18, 2016. Video of APPS member Robin Lowry testifying at the Philadelphia School Reform Commission hearing – August 18, 2016. Video of APPS member Deborah Grill testifying at the Philadelphia School Reform Commission hearing – August 18, 2016. 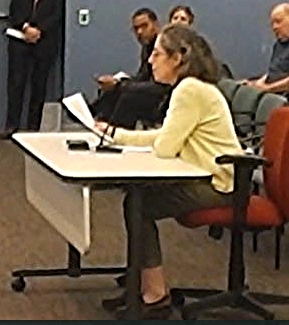 Video of APPS member Lynda Rubin testifying at the Philadelphia School Reform Commission hearing – August 18, 2016. Video of APPS member Rich Miglore testifying at the Philadelphia School Reform Commission hearing – August 18, 2016.